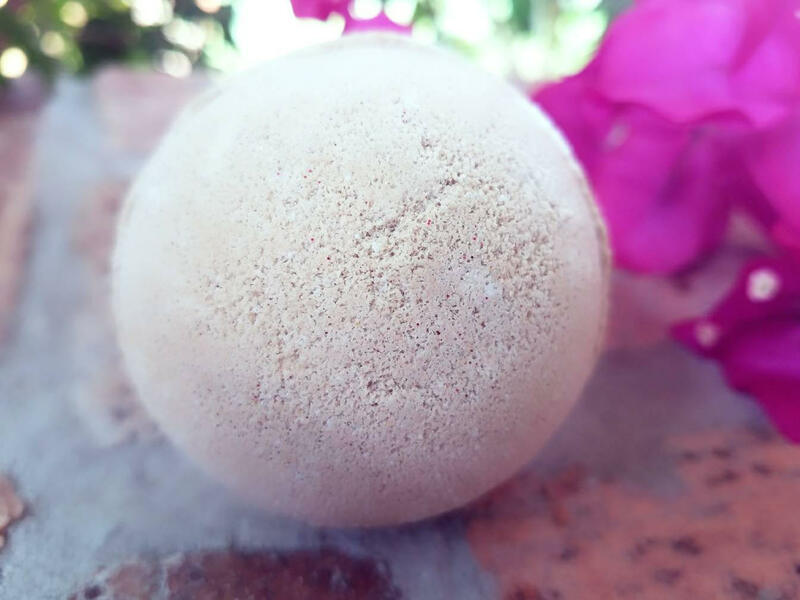 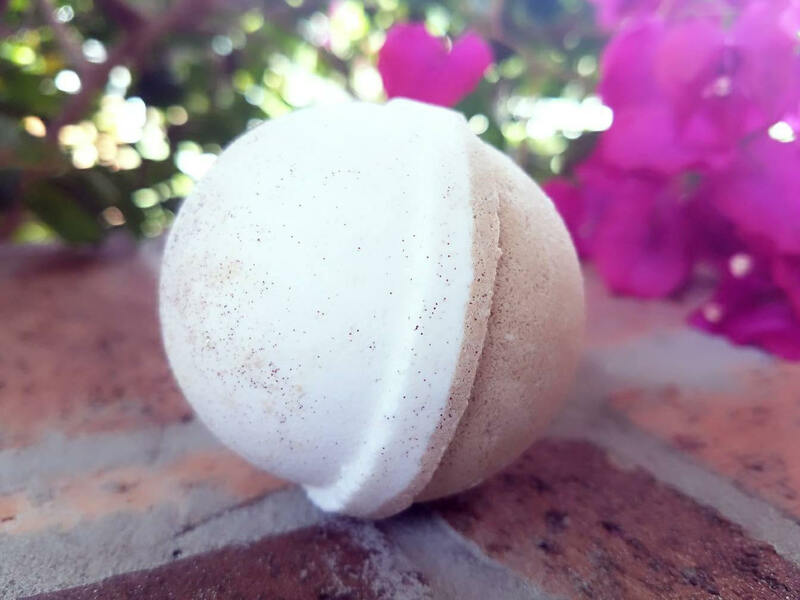 This Cinnabun handmade bath bomb weighs approximately 4.5 oz and is roughly the size of a tennis ball. 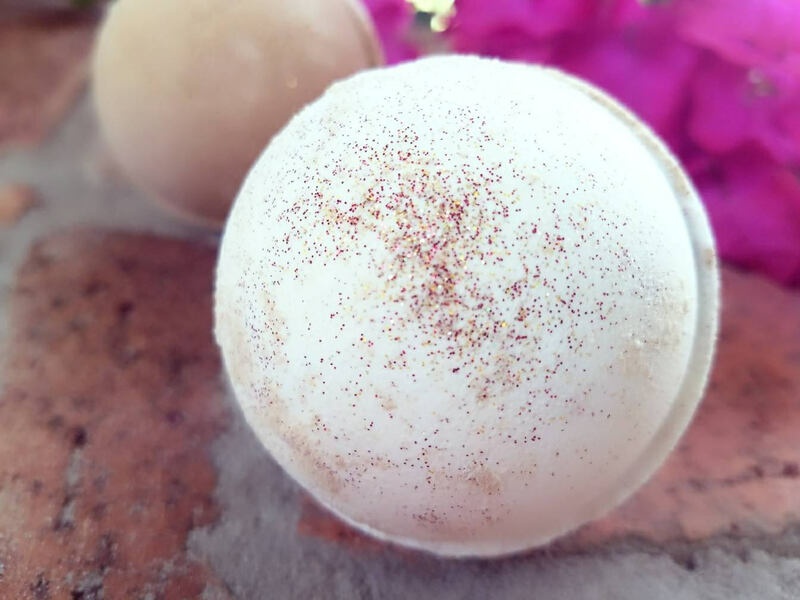 Enjoy a delightful bath soak with our amazing "Cinnabun" bath fizz. 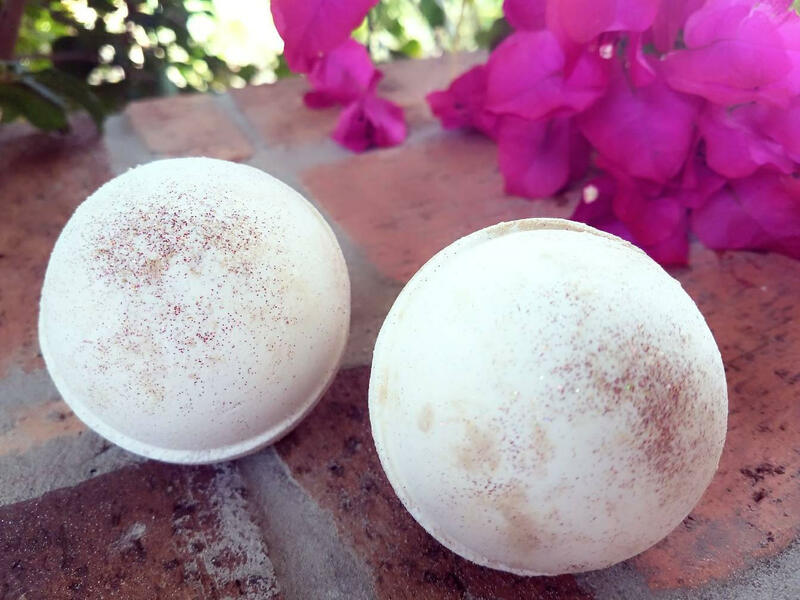 Rejuvenate your senses with the aromatherapy of fresh cinnamon rolls right out of the oven! 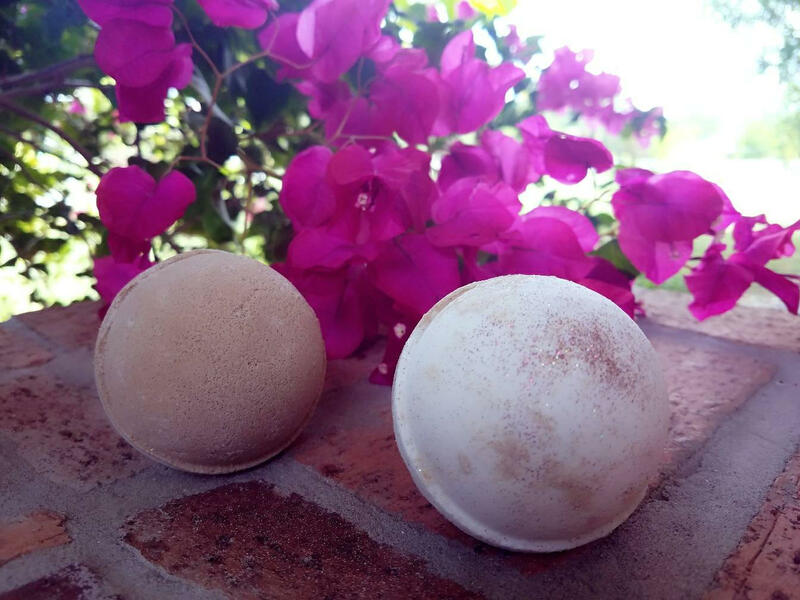 This bath bomb is half white and half cinnamon color with brown, cosmetic grade glitter on top.